Are you one of over 80% of Americans who suffer from some stage of periodontal disease? Also known as gum disease, this condition is one of the leading losses of teeth today. It has even been linked to common health problems like strokes, diabetes, and heart disease. If you’ve noticed your gums bleeding or excessive tenderness in the mouth, please don’t hesitate to contact our Long Island City dental team for the skilled help and personalized attention you need. If, after a thorough evaluation, we determine that you’re suffering from periodontal disease, we can provide more frequent hygiene appointments or a procedure known as scaling and root planning that cleans all the way down to the tooth roots. Helping you regain a healthy, confident smile smoothly is our top priority! Why Choose LIC Dental Associates for Gum Disease Treatment? Periodontal (gum) disease progresses as the pocket between the tooth and gums get irritated by plaque, bacteria, and calculus (tartar). As this debris collects in the pocket of the tooth, it becomes difficult for you to maintain proper cleaning of this area on your own. 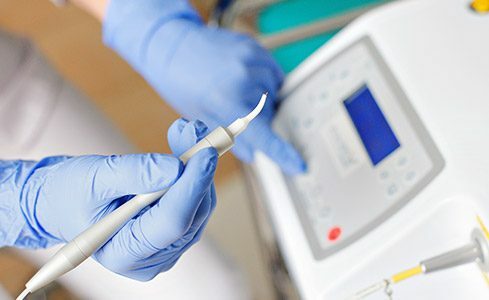 Dentists and dental hygienists have the ability to perform a “deep cleaning,” or scaling and root planing of these hard-to-reach areas, which prevents the progression of the disease. To supplement the periodontal treatment provided in a deep cleaning, dental professionals can place medication in the periodontal pocket to further halt progression of the disease. ARESTIN® is an effective antibiotic treatment that is placed into the periodontal pocket following a deep cleaning. 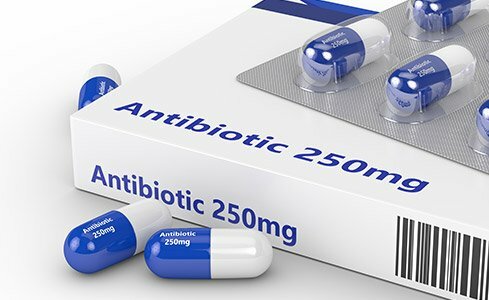 Over a period of up to twenty-one days, small amounts of antibiotics are released into the pocket to improve the health of the gum tissues through antibacterial action. Laser dentistry is the ideal modern tool for treating diseased gum safely, conservatively, and comfortably. Through LANAP, we can both remove infected portions from the mouth and encourage the growth of new, healthy tissues in their places, all with only very minimal bleeding, swelling, and other common post-operative symptoms. Many of our patients feel so at ease throughout this type of treatment that they don’t even need any local anesthesia.